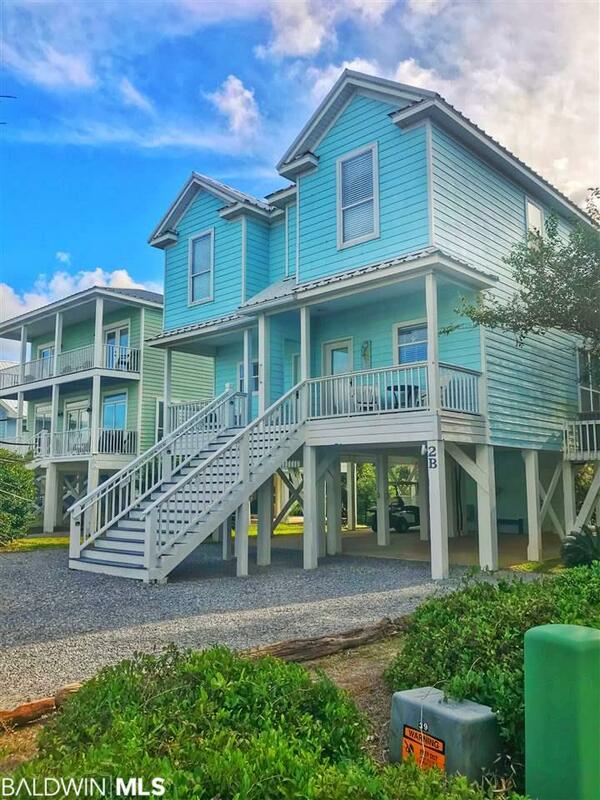 Bright BLUE BEACH duplex with GULF VIEWS and SECONDS to SAND and POOL with FULL RESORT LIVING. You can HAVE IT ALL at BIG BLUE. 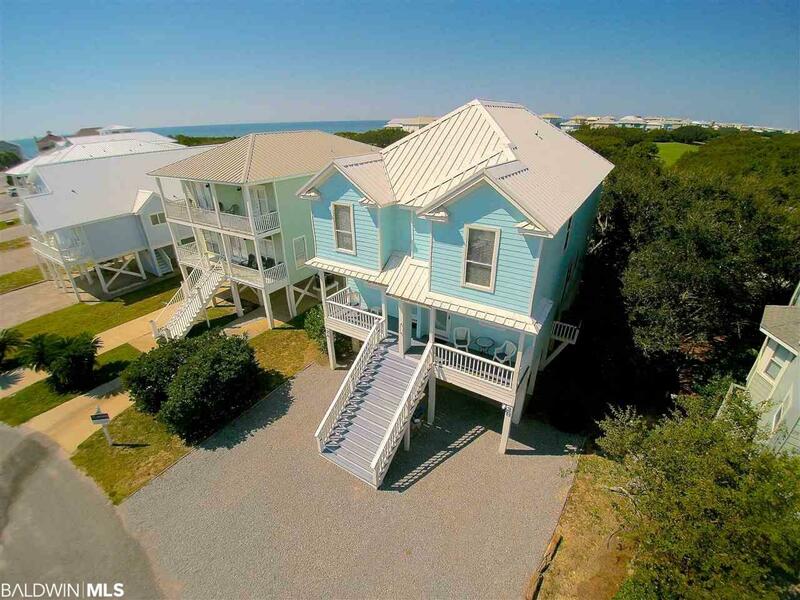 Absolutely STUNNING and TURN KEY SIX bedroom and FOUR bath with BONUS POWDER ROOMS. UNIQUELY nestled on a lush beach side lot only 5 HOUSES to the sand with no ROADS to cross. Yes, just a HOP and SKIP to the BEAUTIFUL GULF! 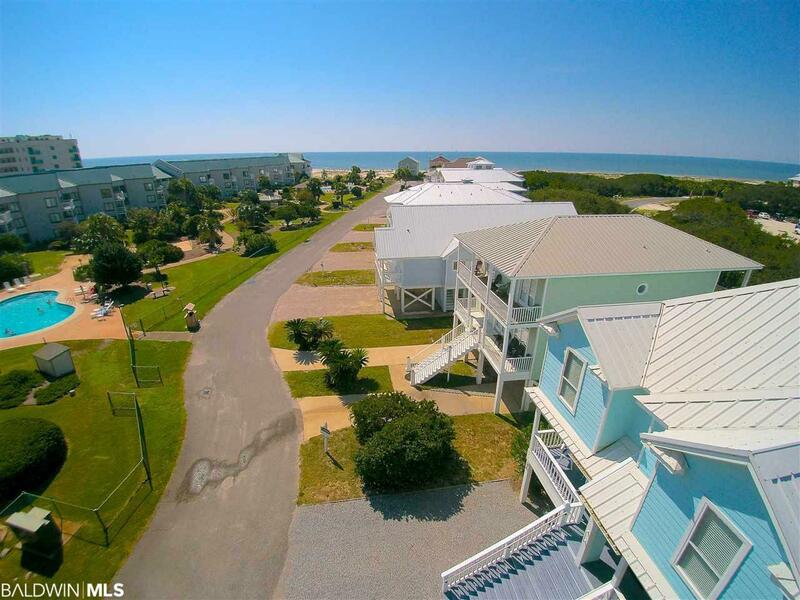 ENJOY as your own LARGE beach house OR TWO FULL THREE BEDROOM PRIVATE units. LIVE LARGE in each side with an AWESOME FLOOR PLAN. GENEROUS main level living with powder room features HIGH CEILINGS with lots of light. BRIGHT kitchen with GRANITE and STAINLESS for plenty of counter space with BREAKFAST BAR. SPACIOUS LIVING and DINING AREA with balcony for lounging with a VIEW. DESIGNER finishes including FRESH PAINT, WOOD PLANK FLOORING, and UPDATED LIGHTING. Furnished and decorated to a TEN! This LIVING and DINING LEVEL delivers with PLENTY of room to ENTERTAIN or RELAX! SECOND LEVEL features 3 LARGE BEDROOMS with FRONT and REAR BALCONIES. Master bedrooms with KING beds and private EN SUITE BATH and WALK IN CLOSET. TWO MORE bedrooms on upper level share spacious BATH. REAR UPPER BALCONIES are PRIVATE and offer SWEEPING GULF VIEWS. Plenty of storage INSIDE and OUT! Outdoor living offers it ALL. Directly across from POOL and HOT TUB. Enjoy GRILLING and TENNIS. This RESORT offers nearby restaurants and golf. 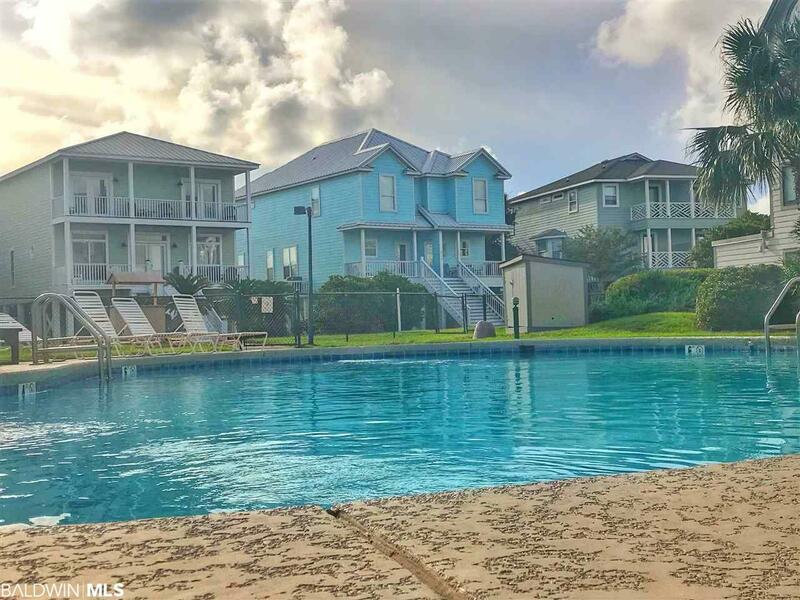 UNDER THE HOME offers plenty of parking and leisure deck area nestled against beautiful shrubby oaks. STELLAR RENTAL OPPORTUNITY with rental projection nearing $100K for both sides. HOA includes upkeep of yard, security, internet and cable. HURRY this UNIQUE beauty will NOT LAST! Listing provided courtesy of Harris Properties Management, Inc.. Listing information © 2019 Baldwin County Association of REALTORS® MLS.